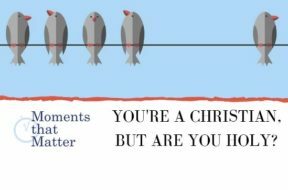 VIDEO: Moments that Matter – You’re a Christian, But Are You Holy? Who and what does God consider holy and UNholy? Watch this short vlog then listen to the podcast of the same name. You’re a Christian, But Are You Holy? Where does being holy fit into your "brand" of Christianity? What does it even mean to be holy? The Bible helps us answer that clearly. VIDEO: CQ Kids – Why Did God Create Human Beings? This video series answers children's questions. This short, animated video answers why we are even here. Life is a great blessing! Because our God is a God of love, He wanted to give the gift of life to many others, which is why He created His human family. 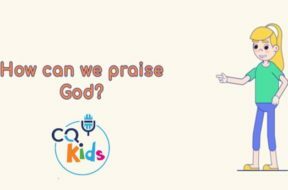 VIDEO: CQ Kids – How Can We Praise God? 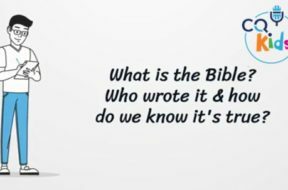 VIDEO: CQ Kids – What is the Bible, Who Wrote It and How Do We Know It Is True? The Bible is the most important book ever written because it details God's plans and purposes for mankind. There are many who may doubt the validity of the Bible, so how do we know who wrote it, and how do we know what's inside is true? Get the answers to these questions and many more in this short animated video. 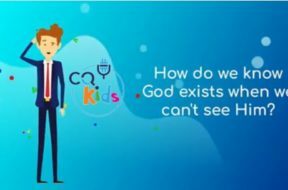 VIDEO: CQ Kids – How Do We Know God Exists When We Can’t See Him? So, Do You Think You’re Holy? Did you ever stop and wonder what Christianity, in its truest sense, looks like? Is Christianity about getting or giving? 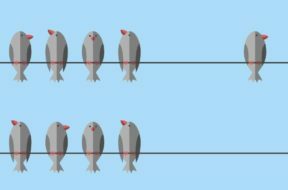 Is it about living just like everyone else, or is it about living to a higher standard? Is it about the incessant chatter of everyday life or is it about a life-changing message? Is Christianity about learning to accept yourself as you are, or is it about offering who you are to God to become what he wants you to be? These are questions that can be answered if we understand how holiness fits into the picture. Stay with us as we look at our Christianity and what role "holiness" plays in it. How Do We Become Wholly Holy? Last week we talked about the idea of trusting in God and how the founding fathers of this nation did so as they laid the groundwork for “the land of the free and the home of the brave.” After that VERY lively conversation, we thought it would make sense to build upon the theme, but this time in a personal way. While it is great to talk about a society having trust in God, what about us as individuals? How do we really, truly and sincerely, show our personal trust in God? What should we be doing? How should we be thinking? Individual trust in God ends up being a matter of holiness. The more you truly trust, the holier you become. Stay with us as we look into the keys of this trust and ask the difficult question, How do we become wholly holy?